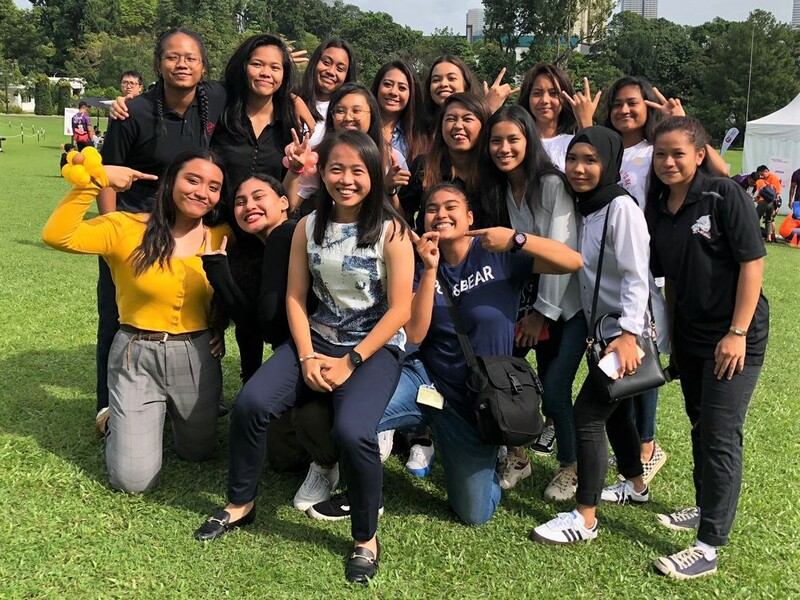 SINGAPORE, 25 JANUARY 2019 – For the past three years, football coach Chris Yip-Au has worked with youths from various backgrounds, including at-risk and low-income families. 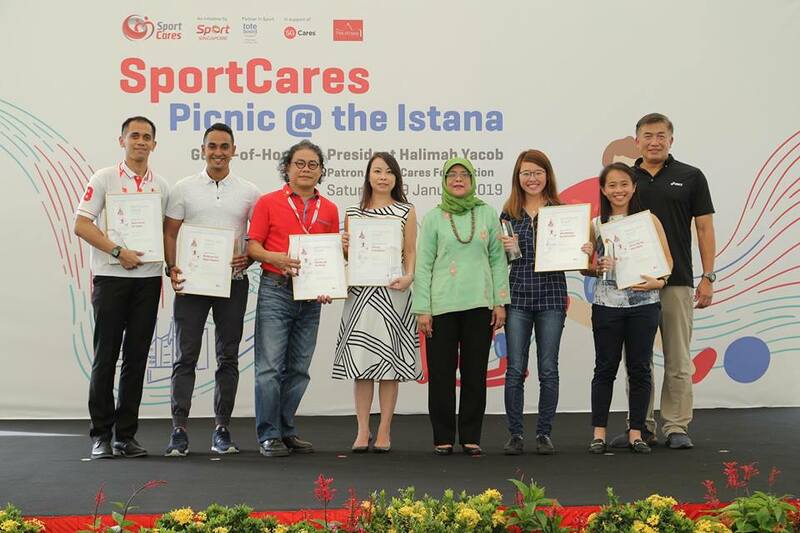 Last Saturday, the 25-year-old was recognised for her efforts at the inaugural SportCares Awards at the Istana, where President Halimah Yacob was on hand to present the accolades. The win in the Coaching Inspiration category was a “surprise and honour” for Chris, who also plays for the Women’s National Team and has been capped 12 times. Chris added that she could relate to what these youths were going through, having turned to football as a distraction during her parents’ divorce while she was growing up. “I think it helps to have someone (like me) who understands and can trust to lend a listening ear or a helping hand if needed,” she said. She was one of three recipients in her category at the awards, which recognises voluntary efforts of both individuals and organisations in empowering communities through various SportCares initiatives. Three other recipients were honoured across two other categories – Sporting Inspiration and Corporate Giving. It was a memorable first experience at the Istana for Chris, who was struck by the vastness of the grounds. “I mean, the President presented the award to me herself!” she recalled. “There was an internal shuttle bus to take us from the entrance to where the event was held; I think it was pretty cool! It’s not every day that you get to enter such a restricted compound and as a VIP.” Apart from her work at SportCares on Saturday nights, Chris has coached the Under-19 Women’s National Team since last year – training is thrice during the week – having worked her way up from the U14s since 2015. On weekend mornings, the full-time coach works with grassroots players and she enjoys the diversity of her roles. Chris’ coaching journey began when she was waiting to enter university; her coach in secondary school roped her in to assist sessions at an academy and she never looked back. “I jump at every opportunity that I get to learn,” she said. “When I was in the United States doing my internship, I signed up for the coaching courses there and I hold a US Soccer Certified ‘D’ License. Right now, I’m currently an AFC ‘B’ License candidate in Singapore. Currently, Chris is grateful for the opportunity to be mentored by former Australia head coach Hesterine de Reus, a FIFA instructor and UEFA expert who is attached to the senior Lionesses. She is thankful as well to Julie Teo, General Manager of Grassroots and Women’s Football at FAS, for the opportunities afforded and support throughout the years. But Chris also has her sights set on challenging herself abroad in order to get better and expand her coaching horizons.